Western Digital Red WD40EFRX, SATA III 6.0Gb/s, 3.5in, WD IntelliPower variable RPM, 64MB Cache. 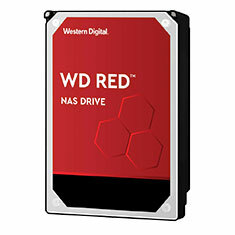 WD Caviar Red drives are the first hard disk drives designed specifically for use in a NAS environment - with improved compatibility and designed to perform under the demand of a powerful NAS while keeping cool and quiet. 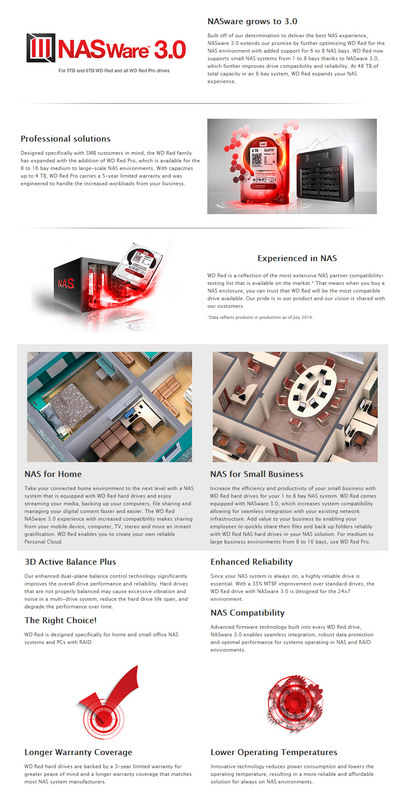 Designed for an "always on" environment with powerful energy efficient technology and WD's exclusive NASware firmware built into every drive, the WD Red is perfect for your small or home office NAS system. Covered by Western Digital's 3 year warranty.